A schoolboy from St. Petersburg, Roman Starkov, has launched a campaign to support Russia’s leading sportsmen ahead of the International Olympic Committee’s (IOC) decision on the participation of national athletes at the Winter Games in February. The #noRUSSIAnoGAMES hashtag has been gaining momentum on Russian social media. 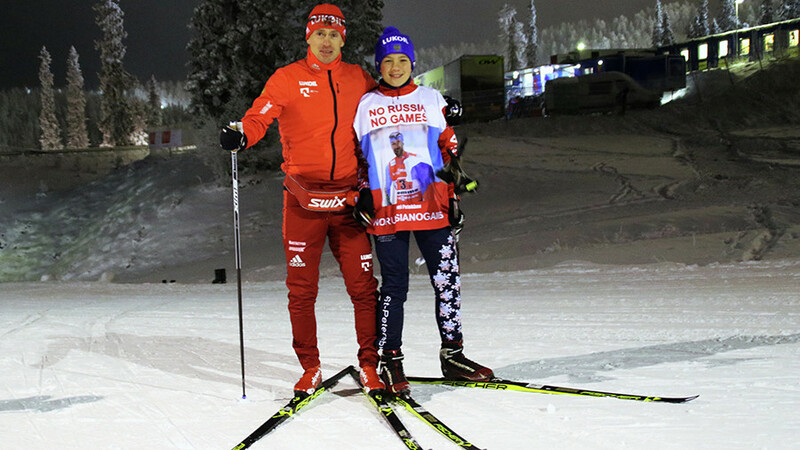 On his page on the social network ‘Vkontakte,’ Roman – an aspiring ski champion – posted an emotional video message showing the mother of Russian Olympic medalist Maxim Vylegzhanin, who competes in cross-country skiing. Over the course of several days, the heartbreaking video gained over 700,000 views, with the Russian sports community, celebrities, politicians and ordinary people from across the world readily throwing their weight behind Roman’s personal effort to cheer up Olympic athletes. Roman says he did not expect such a huge response online. He organized the campaign simply because everyone in his family is involved in sports, and they all worry about the fate of Russia’s national team. — Дмитрий Борисенко (@AMDN_NEWS) 28 ноября 2017 г. “I do not understand why our athletes are being forced to leave [the sport] forever without any evidence. Does anyone care about what the athletes, barred from performing at the Olympic Games, feel like? Does anyone think about their parents? We support our guys! Russia should participate in the Olympics!” Roman wrote. On Monday, the IOC scrapped the results of another five Russian participants of the 2014 Olympics in Sochi. Two Russian biathletes, Yana Romanova and Olga Vilukhina, have been stripped of their results in Sochi, the International Olympic Committee said. Both were members of the Russian women’s silver-winning relay team. In addition to the relay silver, Vilukhina also lost a silver medal she claimed in the women’s sprint. Both Romanova and Vilukhina have already retired from competition, with Vilukhina announcing her decision to hang up her skis and rifle earlier this month. The results of four Russian skiers from the 2014 Sochi Olympic Games were annulled by the IOC this month. Aleksey Petukhov and Maxim Vylegzhanin, along with two female teammates, Evgenia Shapovalova and Julia Ivanova, were stripped of their results from Sochi on the basis of the IOC Disciplinary Commission. Federation President Elena Valbe told RSport that all four athletes would be barred from participation in the upcoming Olympic Games. The decision means that Russia will lose two more Olympic awards: the silver medal in the men’s team sprint, won by Vylegzhanin, and gold in the men’s 50km marathon. 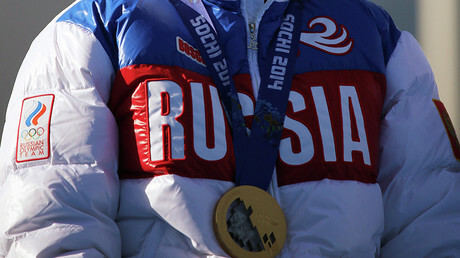 The latter medal had already been reallocated to Vylegzhanin following the recent disqualification of another Russian skier, Aleksander Legkov. The IOC has also handed life bans to two Russian skiers, Legkov and Evgeniy Belov, on the basis of evidence provided by the same Oswald Commission into alleged doping by Russian athletes. The committee, however, did not specify the kind of doping violations Legkov and Belov had allegedly committed. The IOC ban affecting six skiers was imposed on the basis of the report by former World Anti-Doping Agency chief Richard McLaren’s investigation, which said Russia was guilty of state-sponsored doping at the 2014 Winter Olympics. It alleged that Russia’s anti-doping lab regularly covered up positive tests, and that samples were systematically manipulated at Russia’s home Games three years ago. — Ola Norgren (@Byske) 24 ноября 2017 г. “I haven’t got the faintest idea of any state-sponsored doping system,” Legkov, who says he competed fairly, told RT. “We are innocent but powerless,” added Yevgeniya Shapovalova, who did not win a medal at Sochi. “We don’t know what to do next with our lives. You have competitions, you have things you aim for, and then suddenly it’s all over. But we still believe that the truth is stronger than lies,” Alexei Petukhov, who has been allowed to keep his earlier bronze medal from Vancouver 2010, noted. On December 5, the IOC will announce its decision as to whether Russia can compete at the PyeongChang Winter Games next year. — Пятый канал Новости (@5tv) 27 ноября 2017 г.